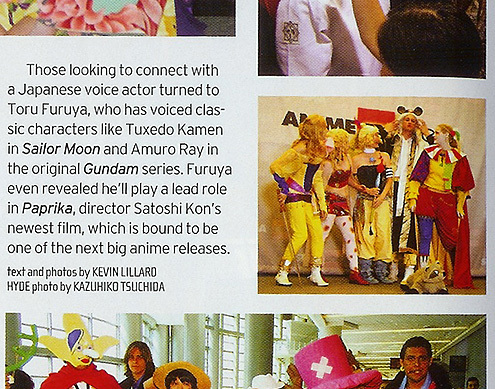 I've been honored to have my work shown in different media throughout my costuming. If you happen to see any photos or interviews given by me, please let me know! This is a video I got to be a part of with my friend Sonnya! 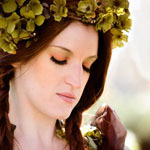 She and I presented our Rosa and Rydia costumes while they were filming this piece, and I was so thrilled to be a part of it. Thanks Soni! 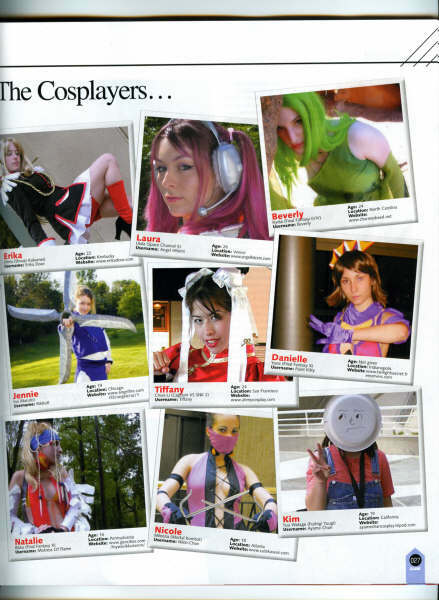 My friends and I presented "Signing Bonus" (Downloadable WMV Version or YouTube Viewable Version)" in the Masquerade at Anime Expo 2006 and were awarded with Best Presentation and 1st Place Overall. Video courtesy Usagichan Company Search and Rescue. 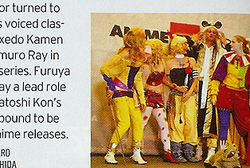 I performed the "Real Emotion" dance at Anime Central 2004, one of my most fun masq experiences ever. ^^ You can see the video here, I'm at about 16:00. 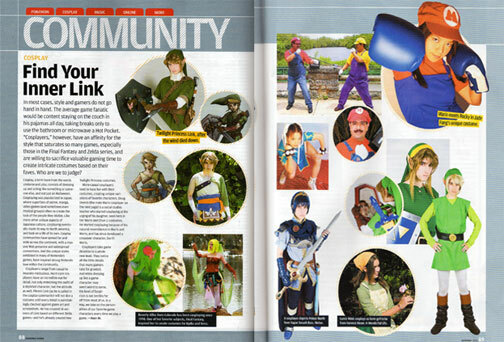 Our Final Fantasy VI group appeared (though small XD) in the pages of NewType, Sept. 2006. 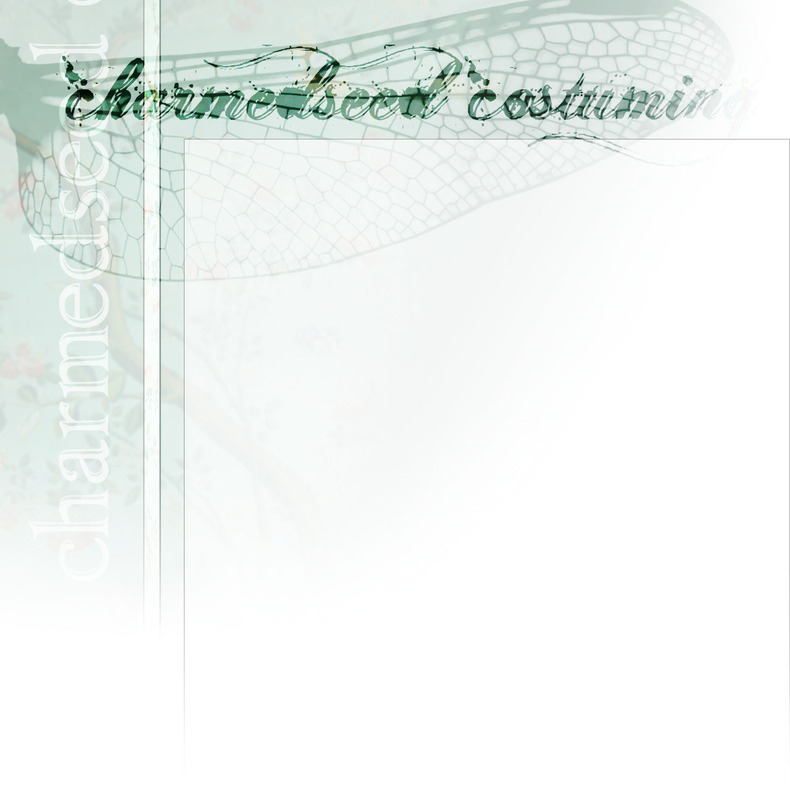 Thanks to Mitylene for this image! Thanks to Lillyxandra for this image! 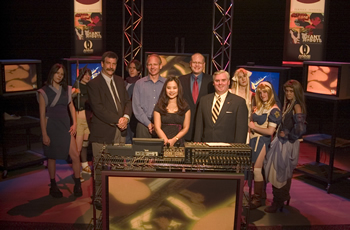 The Anime Network - Cable Network Launch, July 2004.